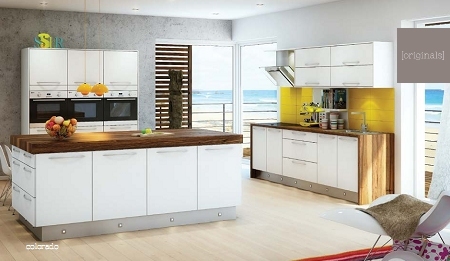 Worktops from Polyrey, Formica, WilsonArt International, Artis, Earthstone. We supply full granite worksurfaces - View our range. Our Kitchen and Bathroom installations are carried out by professional tradesmen to high standards of quality and all relevant building regulations. Our Electrical Specialist is 'Part P' registered and our Plumbing and Gas subcontractor is CORGI Registered. Services we provide include: Joinery and fitting, Electrical work Plumbing Plastering / rendering Tiling Painting, decorating and central heating installation. 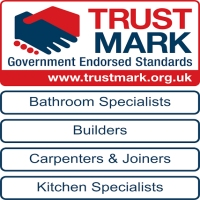 Trustmark is the Government backed initiative to help consumers find reliable and trustworthy tradesmen to carry out repairs, inside and outside the home. All our work is protected by a 2 year insurance backed guarantee and on completion of our work you will receive a guarantee policy document from the Trustmark Group.